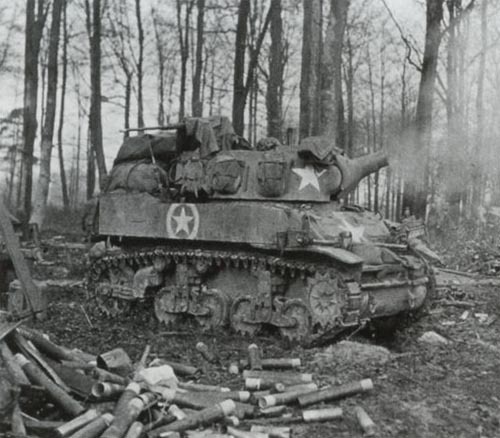 US 75mm M8 HMC in combat. Alsace: Colmar Pocket cut in two as US and French troops link up. Germany: 238 RAF bombers attacking Bonn. 589 USAAF bombers attacking Regensburg. Europe: Death of Captain Marcel Doret, leader of free-French Groupe de Chasse ‘Doret’ and former test pilot; aged 48.